It commenced at the beginning of 2015 when a video appeared online of two children claiming to be the victims of sexual abuse at the hands of their father Ricky and several of their teachers, among other local people. The abuse is alleged to have taken place in Hampstead, commonly known as Hampstead Village, in London. The children also alleged that they had been forced into participating in satanic rituals at the local Hampstead Parish Church during which, they claimed, babies were decapitated. 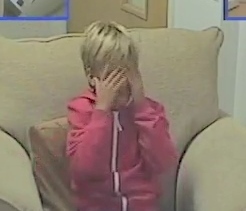 Videos of the children describing the alleged abuse were viewed online at least 4 million times, according to BBC Radio 4. The story had gone viral and the allegations were picked up by the national news. A witch hunt sprung up, targeting nearly everyone alleged to have been involved. The names, addresses and telephone numbers of the alleged abusers and their families as well as 20 other children and their parents, social workers, clergymen, judges and churchgoers, were released online and some received threats, the BBC reported. The local people of Hamstead and the people at the Church were not happy about all the harassment and negative press. A short police investigation followed and in March 2015, a family court judge dismissed the claims that Ricky had led a “satanic cult” in north London and that he and other members carried out the abuse as “baseless”. The judge concluded that the children had been forced to make the allegations by their mother, Ella and her new partner, Abe. The children’s father did an exclusive interview with the BBC. No charges were ever brought against him. The case was now over but several local activists were not happy with the judgment and for four weeks protested outside the church. Shouts of “stop killing babies!” and “child killer!” could be heard outside the church. Sabine McNeill, one of the activists, went on the run but continued to promote the protest on her website. Some of the activists were given restraining orders including McNeill and Belinda Makensy. Quaintance heard about the allegations, decided to investigate and got in contact with the activists. He announced his plans online and was met with a barrage of threats and abuse from anonymous trolls. His home address was put online and his mother received online harassment. Quaintance travelled to the UK in August 2016. After he arrived, he met with some of the activists and interviewed them. None of the interviews turned up any additional evidence. At this point, the online trolls were in a frenzy and threatened to kill Quaintance if he went to the church to investigate. Quaintance’s UK address was put online by the anonymous trolls after they managed to identify his location when they recognized the background in a YouTube video he’d put online. On Aug. 31, Quaintance went to the church and filmed himself looking around outside. He found nothing out of the ordinary; the case was already dead. [the case is still very much alive, and noone is going to find anything of significance outside a church, in public, in broad daylight…ed.] He posted these stills on Facebook five days later, on Sept. 5. An anonymous troll jumped on this exchange with a friend, Clay Caricofe, took a screenshot and reported to the police that Quaintance was in the area right then, on the same day the local children’s school term started, and might be carrying a knife. However, he said he wasn’t outside the church on Sept. 5, or carrying a knife. He was at home. Rupert’s friend explained to the police that the post refers to an inside joke between Quaintance and himself that referred to an incident involving a sandwich. In the interview, Quaintance explains that in hip hop music slang, a biscuit refers to a gun. He didn’t want people to think he was carrying a gun. In the UK, a biscuit is a cookie. The UK police and court system are now using UK taxpayers’ money to investigate this sandwich-related Facebook post. On Sept. 13, Rupert was getting ready to leave when there was a knock at the door. It was the police and they arrested him for five charges of harassment with the intent of violence (the sandwich conversation) and two more charges of just harassment. His laptop that he uses to make a living was confiscated, along with his passport. If found guilty, he could face 5 years in prison. He has no idea who he is being accused of threatening. He is still waiting to enter a plea of guilty or not guilty. The case has been adjourned twice. He is unable to work and is under a gag order. Quaintance desperately needs donations, although he has not asked for any. He said he’d rather people share his story and raise awareness anyway they can. If you would like to donate to Quaintance, you can do so using your bank account and entering rwquaintance@gmail.com as the recipient, or by using PayPal. What is really striking about the Hampstead case is the sheer amount of online material it generated, reminiscent of “PizzaGate.” It made the story easy to research. There are many YouTube videos, news articles and interviews and there is even a troll blog that is still reporting with undeniable delight on Rupert’s every move and continuing distress. WRC will stay in contact with Rupert and will work to keep you up-to-date with the story as it unfurls. There is much more to report also, eg. with supporters of this case still being seriously harassed by authorities to this day, eg. with court hearings having taken place which resembled little to do with actual justice, similar to the original hearings which took place regarding the case proper, where everything was simply dismissed out of hand. The coverup continues. This is not a war. This is an awakening. “We have been aware of David Shurter as a cointel disinfo shill for a while.http://www.dysgenics.com/tag/lying-fraud/ This was confirmed when he lied about knowing Tavitrained Charlotte Ward/Jaqui Farmer, &amp; then staged a fake public falling out with her in a “secret” Facebook group in order to ingratiate himself with us . They worked together on a video in January 2013. 2222 explained that because Opperman had posted the video on his YT channel it was considered fair game in Child Abuse cases, particularly in this case, where the guilty/State have been attempting to control the narrative and prevent the TRUTH from being revealed. We did tell 2222 &amp; another supporter who were scheduled to interview us that we would do the Opperman interview first as he was waiting and eager. We also recorded the interview using a new mike, as listeners had complained of sound quality of previous interviews. The use of Occult practices, Luciferian/Satanic/Wicca, hypnosis, drugs etc. are all elements of State sponsored Trauma Based Mind Control programs, that are used to mislead &amp; cover up the TBMC programs that have infested schools and pre schools/nurseries around the world,so no we haven’t dismissed the occult element in favour of MK Ultra/ Monarch, State sponsored Trauma Based Mind Control programs.We are merely explaining how they all fit together. Their lies and Tavispin are transparent and they are merely the latest to be exposed by the Metaphysics of the Hampstead Cover Up. RAW VIDEO Part 1- Key Witness in case of ‘Seven VS Gossage and Nine Others’, The cousin Roni Nicholas of Targeted individual/ Organised crime survivor ‘Seven’ here Speaks out in anger to expose and demolish the lies being concocted by David Ickes ‘The Peoples Voice TV presenter racist NWO Agent Troll,Shill named Mark Windows. Mark Windows IS a ‘KNOWN’ NWO Agent, seeking to get rich by professional lying in public (as was done to Stephen Lawrence’s grieving family) to smear and discredit the honourable names of a genuine Targeted Torture Survivors, Truth Speakers, Whistle-blowers and Peace Activists. Since 2012 Windows has been caught with those named above engineering a campaign of endless lies, cyber stalking, defamation in hopes to profiteer by silencing Truth Speakers on behalf of Satanic paymasters. We warn the public to expose and shun these nasty people and warn others about the foul racist evil misconduct.If you have also been the Target of any of these sick evil people we encourage you to also speak out to make these rats know that their lies and abuse will NOT be tolerated. We encourage everyone to set up support networks to stop and protect targeted people from the abuses by these despicable liars . Thank You. Please stay tuned to this channel for other important interviews. RAW VIDEO — Targeted corruption victim/survivor ‘Seven’ and the brilliant outspoken Common Law Lawyer and anti corruption advocate Patrick Cullinane share damning evidence from ‘The Farrell Report’ by former police intelligence analyst turned whistle-blower the brave honorable Tony Farrell to expose the extent of ‘The Corruption of Britain’ and discuss the remedies and solutions required for public protection to prevent more people becoming afflicted.Seven and Patrick provide detailed insight into evidence proving the UK to be fully complicit in a long history and epidemic of sinister practices against corruption victims to deliberately thwart their legitimate claims for Justice to keep serious crimes concealed. Tactics exposed here are namely vast ‘gang stalking’ operations, the use of fake fabricated bailiff’s demands and the faking and misuse of official court documents to doctor and alter court rulings to favour guilty criminal freemasons and cabal members. 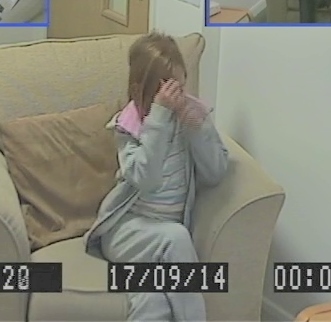 Also exposed in this must see video is some of the sinister methods employed to target, terrorize, rob, abuse, torture and silence genuine victims, survivors, truth speakers, whistle-blowers and activists. In addition flagged up is the deeply disturbing smear campaigns and employment of a host of NWO Agents, Troll’s, Shill’s and Perps such as Mark Windows on tax payers money who many of you are already aware had usurped David Ickes TV channel called ‘The People’s Voice’. The despicable illegal tactics to rob then block Seven and Patrick Cullinane from attaining justice, are also covertly being carried out on thousands of other victims across the United Kingdom, as was recently highlighted in the press against Stephen Lawrence’s grieving family for 21 years, proving just how far they are going to torture the population into misery silence and submission. This video is designed not only to bring the truth behind concealed crimes such as 7/7 to the world’s immediate attention so that everyone can clearly identify those guilty and responsible, but also to encourage achievable solutions such as setting up support networks around victims, survivors and truth speakers. It is important that we fully expose the damage professional liars cause survivors and the resolution process. A special Thank You to Patrick’s niece for allowing us to film in her home Please share to help make this important truth and cover up viral. Thank You!! Please note previous interviews uploaded to this channel have disappeared but will all be re-uploaded again shortly. Stay tuned to this channel for more important interviews. Thank You all for your patience and continued support. 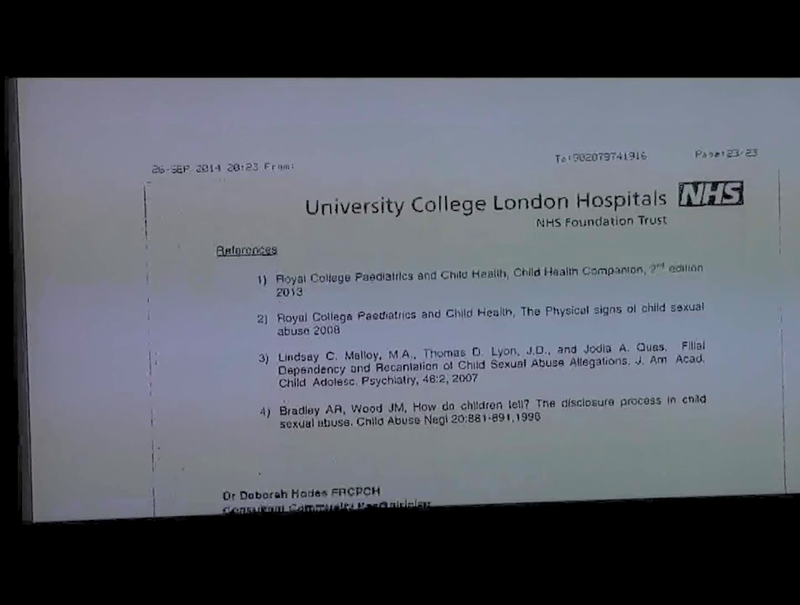 March 11th, 2015.Leaked Medical Reports End All Doubt About Sexual Abuse Claims. Victim and Witness A during a Police interview.Summary of Relevant Evidence Victim A..
Dr. Hodes signs off on the September 22nd report. She plainly rejected the retractions.Ethical and Legal Issues.The leaking of these documents may constitute a criminal offense, I honestly do not know, but it is obvious that these records have been released in the broader public interest in order to oppose and expose a clear and outrageous injustice. These are exceptional circumstances in which otherwise unethical or even unlawful actions are necessary and just in my opinion. This entry was posted in Uncategorized and tagged Hampstead, sra. Bookmark the permalink.